Don’t let having children put paid to your beach body dreams. There are plenty of exercises that can be achieved with children in tow, although they might not seem immediately obvious! 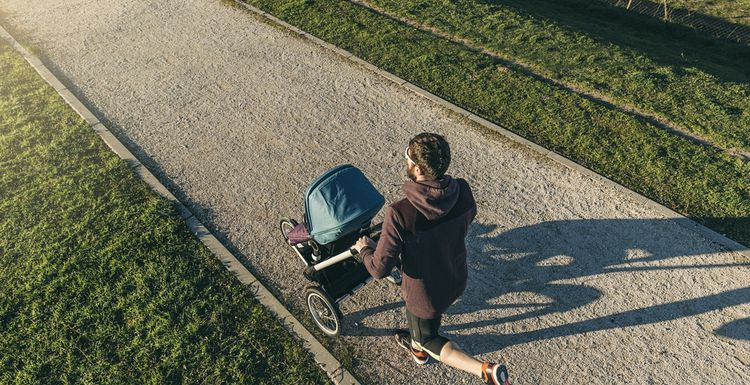 Pushchair Powerwalk: While you’ve got a baby or toddler in tow then there’s always the opportunity for a brisk walk while they’re safe in their seat. Plenty of groups now offer a fun way to socialise and to keep fit while you push at a pretty brisk pace. Use the children as weights: Don’t worry, this isn’t mean. Your kids will most likely love this as it’s fun for them, and tough for you! If you’ve got small people, get them to sit on your back while you try push ups, sit on your feet as you sit up, and get them to stretch with you rather than sitting around in front of the telly. Dance: Most children love dancing, so there’s the perfect opportunity to practice your Zumba routine while the children frolic around at their pretend disco. Find a gym with a crèche. There’s nothing makes parents feel less stressed than a good workout to release endorphins and also give you a bit of time for yourself. It’s worth checking out local gyms that offer crèche facilities to give you peace of mind, and time to train. none of my own as yet but the nieces and nephews love being lifted up and thrown around (within reason of course). Making the most of it before they get too big!